Chalkboard graphics are the latest must-have for your trendy interior design. No self-respecting farm shop, bar, or artisan outlet would be seen without one. 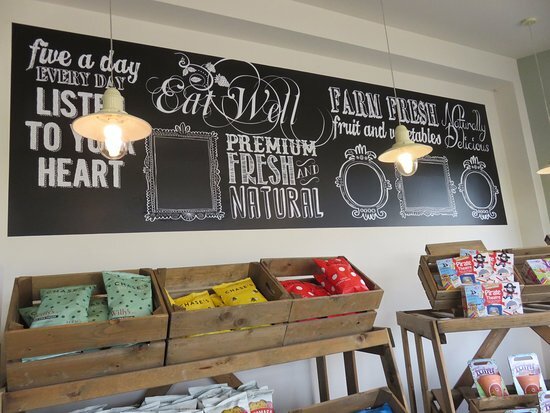 Our beautifully designed, well crafted, hand-drawn chalkboards grace the walls of leading hotels, coffee shops, bars and restaurants across the UK. Our chalkboards provide a personal, authentic, vintage/rustic look to any interior scheme. We can create these in any size and to any design brief. And the artwork can be used in other display areas as well. Vintage style chalkboard graphics teamed up with cool faux shot blast vinyl window graphics – one our visual signature looks. 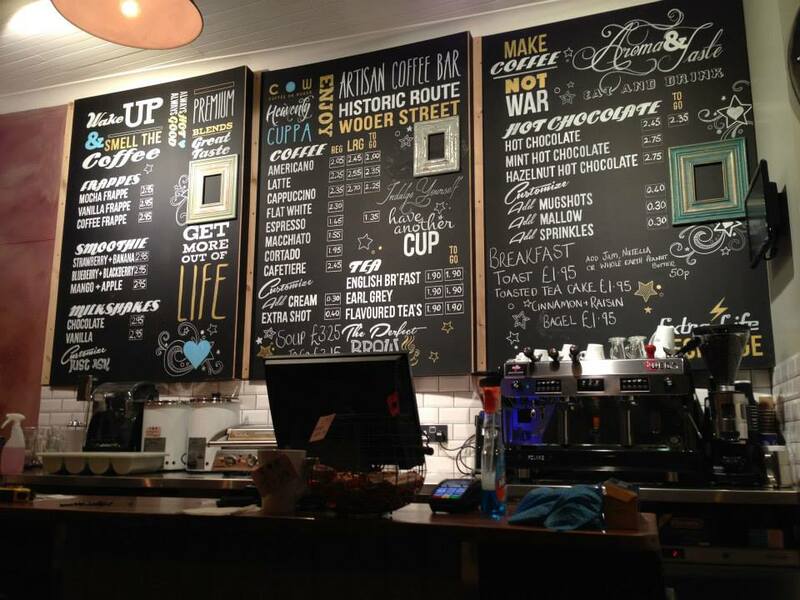 Your customers will find it impossible resist the seductive call of our chalkboards. Chalkboards for Hotels, Chalkboards for restaurants, chalkboards for pubs, chalkboards for farm shops, chalkboards for retail, chalkboards for your next interior project. 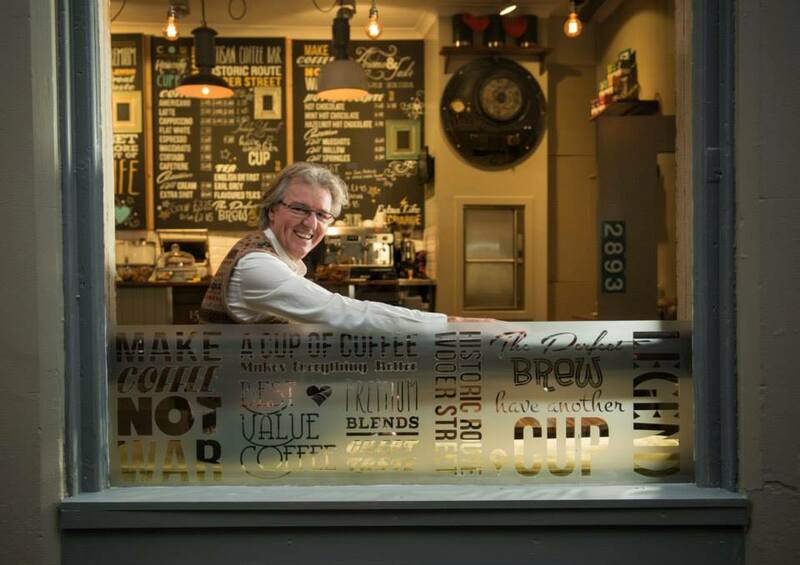 Chalkboard designers Falkirk Scotland. Get in touch to discuss your project, send us an email or complete the form below.